Although it is said the storage space is never enough having less of it does add to plenty of functional problems around the cooking area. At times you must consider getting rid of things rather than planning for more storage space. A bit of planning also goes into selecting the right place to store items depending on how often they are used. As designers for modular kitchens we often have to remind clients that cooking a meal shouldn’t not turn into a aerobic activity. Many designers also work well in utilizing dead spaces to create innovating storage solutions all dependent on how the layout for a particular cooking space is. Considering all these elements are permanent fixtures due thought must be given on the color choices for these elements as it does have a huge impact on the decor scheme. Choose the wrong color and it will limit the options for a future redecorating plan. Often times fixtures need replacements and the availability does get tricky as styles and concepts constantly keep evolving. In many parts of Goa cookeries are now become an extension of a cooking space. With the availability of modular installations a wide variety of materials are available to custom design a cooking area that is to your liking. Modular installations are highly popular in urban areas of Goa such as Panjim, Mapusa, Margao, Vasco and Ponda. Along the coastal belt of Baga, Anjuna, Vagator, Anjuna open styled modular kitchenettes are most popular. A typical sized kitchen in the urban areas is around 30-35 m2 on an average with usually has a balcony attached to it. Most popular real estate developers provide an attached balcony as a service area to dry clothes, house the washing machine and at times also provide an additional sink. There are installations are available at various price points depending on the quality of materials used primarily in the type of wood and hardware. Pricing is also dependent on the surface area that needs to be covered. 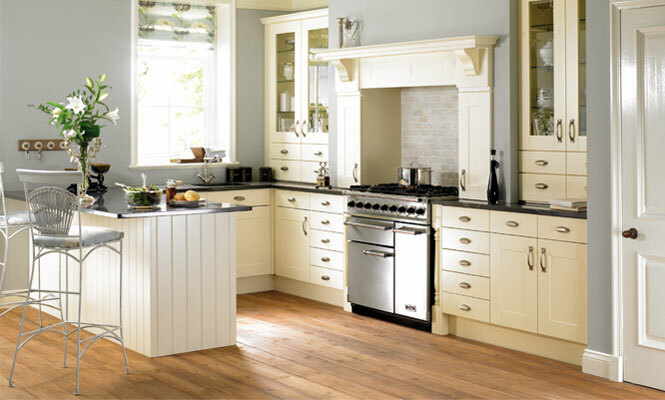 At MKG we are provide a complete range of solutions for kitchen design. We are based in Caranzalem Goa and have a fully equipped crew that can design and manufacture these units. Our manufacturing plant based in Old Goa and we arrive at your door step with an assembly in place. Our installations are build at our workshop itself and then installed in your home. We have been associated with several commercial projects as well. To get started we will visit the site for the measurements needed for the build. After which we will put together a design plan on the options we can tailor into the space at hand. You can visit us for different materials options after which we are ready to begin manufacturing. Being in the business of kitchen decor in Goa over the years we often notice that no matter what the design of the home is, the kitchen always remains the focal point of every families daily lifestyle. Mainly because we revisit this space 3 or 4 times a day at the very least when hunger strikes to grab a hearty meal or for between-time snacks. A typical kitchen witnesses the sounds of the refrigerator door closing, the water tap turn on, the chair scrape along the floor ready to be sat on for a quick snack, always bustling with activity when members of the household are at home. 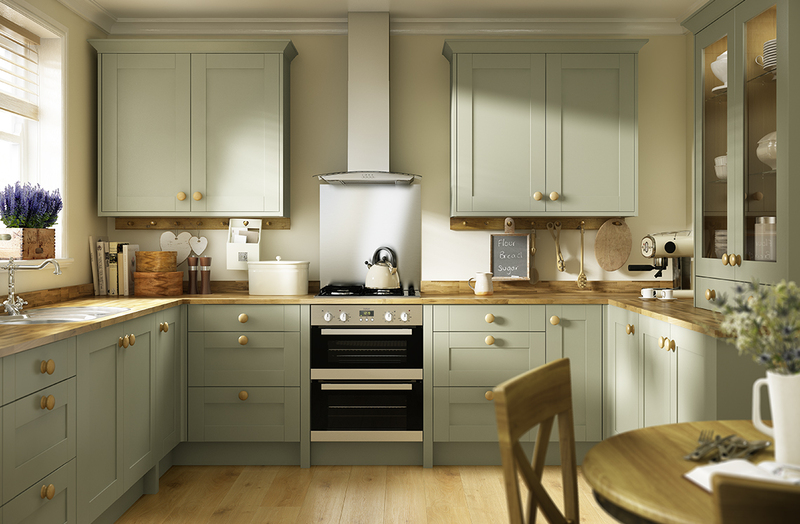 The kitchens of today are far more superior to the designs of the past however the fundamentals have remained the same. Innovative manufactures today have been successful in introducing new materials along with improved appliances created by today’s imaginative engineers not forgetting the startling arrangements designed by today’s creative designers. Although the basic ingredients have always remained the same new acquisitions have always been able to surprise us if not amuse us. Like in the past modern kitchen even today are used for numerous activities and rituals that may not be directly associated to only food. The kitchen’s of today are multiple purpose rooms that are designed to accommodate everyone’s needs that include being ready for an unannounced visits, impromptu card games, family chit-chat and even homework. There isn’t a distinction among the users of the space of what remains a kitchen activity or not, in theory the kitchen is able to accommodate space for almost everything. A lot of elements contribute to keeping this space a multi-functional area including the layers of lighting, the colors and textures, the appliances and furniture. 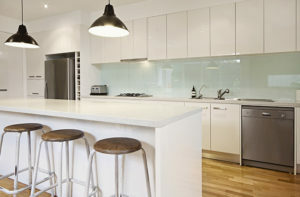 Therefore we often suggest to our clients that while a kitchen is being designed we must let out imagination mull covering all types of activities, some of which we may have may not planned for before as this is the one room in the house that will be most frequently used by everyone to feel most at home in. 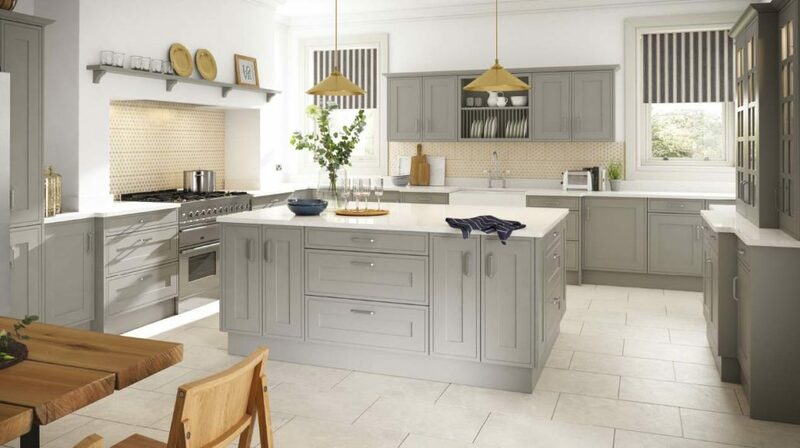 Many of our customers even mention how they are find themselves welcoming more guests to the kitchen than those at the entrance foyer or the living room exemplifying that the kitchen is by very nature is a space that cannot keep life out. The continuous activity of people flowing though the kitchen to eat, drink, complete a task or simply relax here makes it one of the most busiest rooms in the house. Keeping this in mind it is a complex task of a home designer to best design the right decorative touches making the process high challenging and also satisfying. There are a marvellous array of styles available, a variety of specialized furniture, a multitude of gadgets and a whole lot of floor plan options to choose from to design imaginative extras. Depending on one’s perspectives a kitchen can be as eclectic as one likes it to be blending traditional styles with modern designs. Here we showcase a gallery of our work that we have in our mammoth portfolio of projects we have completed across Goa to give you an in-depth experience on how we make kitchens a fun and surprising place which is a product of creative imagination and infinite possibilities. We take a look at a kitchen we planned for Sarvesh Naik a resident of Models Mystiq in Caranzalem. The theme was based around a light gray single tone color scheme. The dignified splendour of this kitchen is its shimmering elegance that was achieved with muted colors across the layout. We decided on slightly lighter gray tones on the cross- ribs of the cabinetry that produced a nice contrast that is pleasing to eye and is subtle. To match the contrast in tone we infused speckled marbled floors, countertops and backsplash that have smooth and clear surfaces along the doors and draws. To enhance the reflections in the room the layout has a gentle play of concave and convex curvatures. Back in the seventeenth and eighteenth centuries kitchens were not a part of the home as middle class homes did not have a specific dining area. This was mainly due to stoves and ovens being crude contraptions, architects encouraged keeping this area away from the living areas to minimise the risk of fires. During the times when the privileged class employed dozens of servants to prepare their meals the kitchen areas were out of sight. The earlier day kitchens lacked hot running water, instant gas flames, ventilation systems and reliable refrigeration systems. The cooking areas also had rooms attached for peasants that have since evolved into modernized kitchen areas of today. In today’s modern home design the cooking space is utilized for three main functionalities, preparing and serving food, dining and cleaning up. Add to this the fact the space has now become a psychological focal point of family life in addition to being a physical one. A kitchen for Sailesh Kurchodar from Models Status in Caranzalem is a simple design kitchen corner that we created that radiates a sense of warmth coupled with contrasted blue-gray cabinetry. We added whites to the ceilings and floors along with French doors. For the kitchen handles we used dark blue highlights that make the crockery nicely stand out. Our designer ensured that the room remains unified by using only square and rectangle shapes unlike the last kitchen where we used more of concave and convex surfaces that were used to create an undulating effect. In a space such as this we avoided any excessive of accessories or decorative touches to achieve a balance in the design. To not leave the area bare we added a few dried flowers that sat near a couple of antique bottles and a tiny decorative tin that were placed above the cabinets. We decided on bit of a bolder look on the kitchen we designed for Shashi Suryakant from Margao a resident from Akar Green Empire . A large sized statue of a nineteenth-century maid sitting on a countertop created an environment set for a converted butler’s pantry. The setting was that of an old mansion that also sported a revolving service window. The tones we used here are vanilla and chocolate. The kitchen area has always been a room for sharing and companionship. The Latin word companion means ‘with bread’, a companion being someone that is close to us for whom we will break and share bread. The kitchen needs to be a warm and bright room not only physically but also emotionally. To ensure that maximum flow of natural light the kitchen ideally must have a southern exposure that will bring in light as well as heat. Kitchens designed with large sized windows are an absolute pleasure to be in however not every homeowner can sacrifice a lot of wall space for large windows as this space is needed to accommodate large appliances and also for the cabinetry needed to store everyday essentials. If you do not have this luxury there is always an option to have sky light to amplify the natural light entering the room. 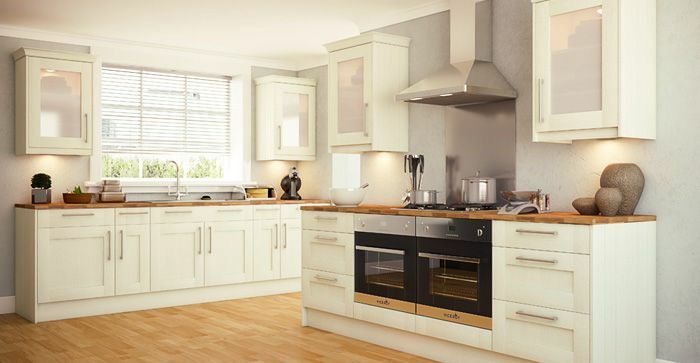 Ideally a kitchen should not have too much of either too much of bright light will cause eye strains and lack of it will make the look to appear dull and boring. In addition to this the artificial lighting must well illuminate the areas in which you are working or seating as no one would like to eat with shadows being casted on the tables or lack of light when preparing a meal. Adding a light track will better help in adjusting the light where it is needed. At another kitchen we designed for Rakesh a resident from Ocean Park Dona Paula the kitchen was designed to be themed as a butler’s pantry. To add a coarser element, we added wall cladding to the ceiling and the rest of the room was smoothly finished. This design of the ceiling was derived from the older days where many ceiling had a curved ribbed design to add strength to the ceiling. We added Picasso styles vases along the top of the cabinetry along with incandescent lighting that was placed under the cabinetry to help balance with the overhead ceiling light which we used to accentuate the old-style ceiling when the work areas were illuminated. Also notice we created an area for toe space to comfortably cook which is beneath the lower cabinets. Being one of most high trafficked rooms of the house the kitchen doors need to be placed in a manner that it facilitates this flow of traffic. Just like windows, doors are also create dead spaces which cannot be put to much of a practical use in placing kitchen appliances however in the traditional kitchen two doors were a must, one leading to the dining area and the other to exit the house. In addition to the main doorways there is an abundance of activities such as opening closing cabinet doors and appliance doors none of which should interrupt the flow of traffic in and out of the area. Depending on the number of walls in the room and the number of work surfaces, kitchen appliances can be placed in L-shaped, U-shaped or straight configurations. Whether the space is small or large a kitchen is tailored according to the space available and accordingly made to fit. As a rule of thumb kitchen always keep the distance needed to cook, clean and serve to a bare minimum as no one would like to walk and tire-out preparing a meal. In a compact kitchen we designed for a client residing at Sun-n-Sand at Candolim, we had to ingeniously utilize all major wall space for cabinetry to maximize storage and hence we designed spacious countertops. The countertops are designed with easily washable seamless material with all front elements comprising of rounded horizontal lines. For the lip-handles, we place unobtrusive handles that sit inside rounded horizontal lines. These horizontal covering eliminates the need for any extensive decoration and standout on its own. In the picturesque village of Nashinola at Acron Uplands, we designed a kitchen space that judiciously made use of multiple tone colors and patterns which came together to create a solid unified look and a well balanced kitchen. Ensuring that the beige squared tiles on the floor and walls matched the rectangular surfaces of the cabinetry design and the appliances we were able to bring together all the features in this space. We placed a red rust shaded ceiling as well and allowed space for thinly drawn lines in between the interlocking squares to create a less bulky look as compared to the weight on the flooring. To add a series of pattern we continued with the ceiling pattern down to the walls and also added the floor pattern to the sink to create a halfway-through visual effect. For a client at Kamat Garderns Mapusa we designed this elegant blue and white kitchen that is a blend of a charmingly dun arboretum of light and plenty of greenery surrounding it. By placing a motif we were able to separate the kitchen area from the garden supply room. Surrounding the garden motif are a number of flowered pots that differentiates this area from the kitchen space. We also placed a couple of large mirrors around the area to increase the light entering the room. Like other elements in the kitchen the flooring also needs to be given equal consideration, it must be easy to clean and have anti-skid properties. It not only because families eat there but also due to the fact that they also ‘live’ there. Spills are eternal along with numerous crumbs and footprints or even the house pet causing minor messes on a daily basis. Although there are many claims made for the use of soft carpets being maintenance free and comfortable when advertised they are not ideal for the kitchen space. Instead, vinyl is a much recommended choice in colors and patterns that will hide of dirt and the occasional spill stain. 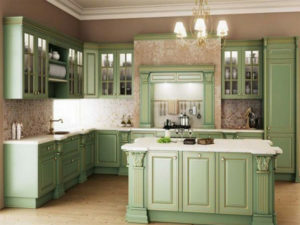 Traditionally kitchen colors have been warm tones however modern day kitchens use bright tones to indicate cleanliness. Shades of oranges and reds that are associated with heat is often the choice of many designers. If the kitchen space is small light colors work well to help in creating the illusion of more space. As kitchens placed in the northern direction allow less natural light to enter the room these area can handle loud and bright colors. The kitchen is today become more of a family room and if you take a look at some of the kitchens we have designed it speaks of the family’s character. Many cookeries highlight the warmth and friendliness of the families that use them. 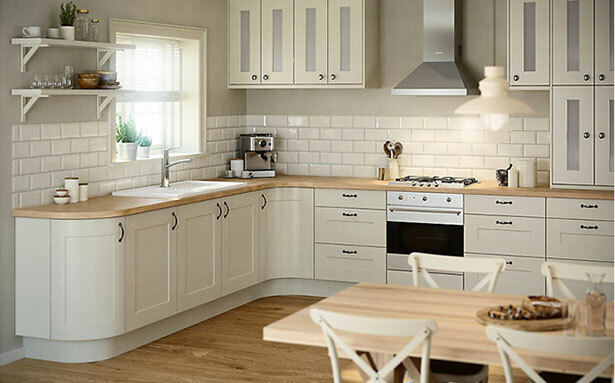 A few kitchens also reflect the formal setting enjoyed by families that regularly entertain guests. Cooking spaces today witness more redecorations and remodelling than other rooms in the house. The backbone of any kitchen appliances are the stove, the refrigerator and the sink that share the cooking space along with an assortment of cabinets and work surfaces. 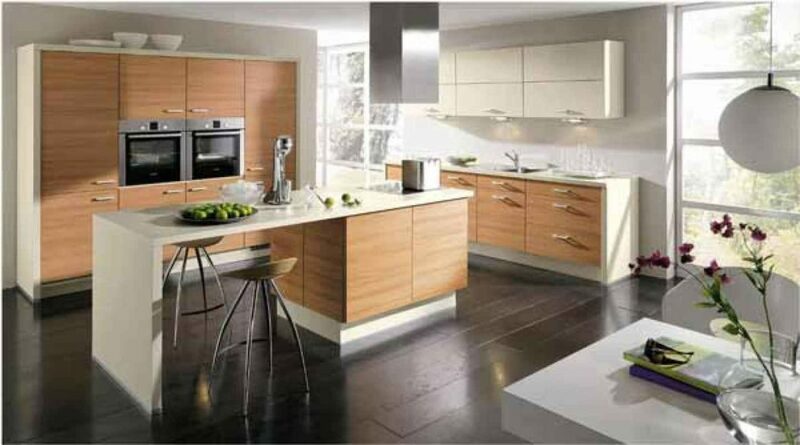 For a kitchen to function efficiently a lot depends on how these items are placed in the layout. Ideally the less the number of steps between these three essentials the better, with generally everything being between arms reach. The essential part at the beginning or end of any meal is the washing of hands- washing hands after a meal or washing vegetables, meats before cooking. Cooking does involving the continuous utilisation of the sink and therefore it is necessary for the sink to be centrally located to facilitate all the trips to it, ideally placed between the stove and the refrigerator. The most boring part for any home cook is the clearing of dishes at the end of a meal. Several traditional interior designers go to place a window above the sink to eliminate the boredom of this task and provide some light and fresh air. The view can be a welcomed distraction as washing dishes does not require a lot of concentration. The dishwasher is also an oblivious choice here but it does come with plenty of noise and monitoring that many are not willing to deal with for a few dishes. The stove is another integral part of the kitchen. The placement of the stove should be away from doorways and windows that can bring about sudden gusts of wind. Additionally, the heat generated from the stove can lead to burning the door or window frames. Refrigerators are today available in a variety of styles and functions. Choices for a two doors, single door and also horizontal doors are commonly featured in most designs. It is important that the direction of the door swing is considered before making a purchase decision as there are left handed as well as right handed refrigerators, a choice that is dependent on the layout of the cooking area. Consider the layout and how the refrigerator can be placed, if you need to walk around the door to open it and move to the other side it would add steps to the distance you have to cover each time which can get frustrating. Work surfaces are another permanent fixture that is essential to a kitchen functioning in the right manner. During the design stages it is important to be aware of the height of your countertops that are comfortable for you to use.